Explore the beauty of Lake Chelan by turning to CHELAN PARASAIL & WATERSPORTS to pick your ideal mode of transportation. Take a look at just a few items you can rent from us that will help you explore the waters. 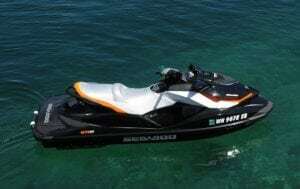 Jet Skis Rentals- We conveniently offer 1, 2, 3, and 4-person jet skis, so you can enjoy the waters with your friends or family members. Our rentals start at $30 an hour and require a minimum 4-hour rental. Party Boats- Celebrate the arrival of summer in style on one of our party boats. All of our boats are equipped with a stereo, so you can jam out on the water. We have a variety of boat styles and sizes that can hold up to 22 passengers. Paddleboard Rentals- Renting a paddleboard is a great way to get around the lake, but it does require a little bit of physical strength because you will be using your arms to paddle around. Book your Lake Chelan rentals by calling our team at (509) 682-7245 today.